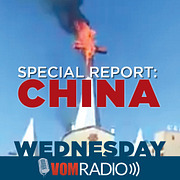 It’s Day 3 of China Week here on VOM Radio as we look at the increasing persecution of Christians in China in conjunction with a new VOM Special Report on China. Today: an interview recorded inside China with one of VOM’s Bible distribution partners, a man who risks three years in prison every time he leaves his home to minister for Christ. Listen as our brother shares about growing up in a family of persecuted Christians, and the story of his very first arrest, and the thoughts on his heart as he went through that testing time. 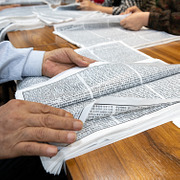 Tomorrow China Week continues as we hear more from Brother Joel about the challenges of getting Bibles to our spiritual family members all across the country. 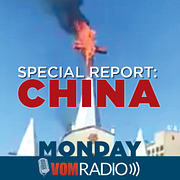 It’s Day 2 of our special China Week here on VOM Radio as we look into the increasing persecution of Christian brothers and sisters in China. New laws went into effect in February that greatly affect our Christian brothers and sisters in China and how they are able to live out their faith. Then, in March, term limits were abolished for China’s President, allowing current leader Xi Jinping to lead the country for many more years. Today Brother Blake and Brother Joel will share what these changes mean for churches in China, and how Christians are responding to continue serving Christ in the face of increased communist oppression. 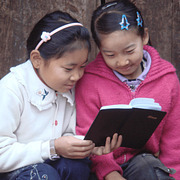 Blake and Joel will also equip and inspire you to pray for China’s Christians during these days of increasing pressure. Tomorrow China Week continues as we meet one of our Chinese brothers involved in Bible distribution there. 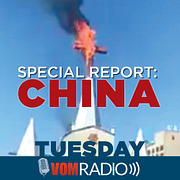 In this special episode Cole Richards, VOM’s CEO, shares about a new special report issued by The Voice of the Martyrs about the increased persecution of Christians in the nation of China. Cole will talk about what has changed in recent months in China, and how Christians there are responding by continuing to serve Christ, regardless of what the government does or what pressure they face. We’ll also discuss how this crackdown in China is affecting VOM’s work in the country, and what American Christians can learn from the way our Chinese brothers and sisters are responding to the challenges of persecution they face. Finally, as we always do on VOM Radio, we’ll talk about specific ways that you can pray for our spiritual family in China. Note: This is the first of five special episodes this week focusing in China, released in conjunction with a VOM Special Report about the increase in persecution on Christians in China this year. If you did not already receive a copy of this special report, you can request a copy at www.VOMRadio.net/China. 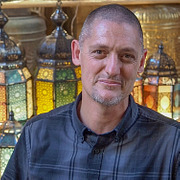 “Brother Fahdi” spent many years doing gospel work all over the Middle East and North Africa, equipping church planters and leaders and helping to reach Muslims with the gospel message of Christ’s love. 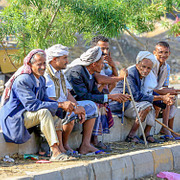 Listen as he discusses the situation for Christians in Yemen, Algeria and other nations. What happens when a Muslim in the Middle East comes to faith in Christ? 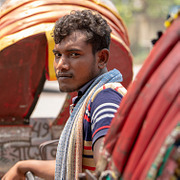 Fahdi will describe the persecution they are likely to face, but says in spite of such persecution God is reaching many hearts. Fahdi will explain how Muslims think about Shariah Law, the lies they’ve been told about Christianity’s teachings, and how Christians—in the Middle East and the United States—can reach out to share the truth of the gospel with love for Muslim friends and neighbors. Finally, Brother Fahdi will equip us to pray for Christians across the region, and especially in the war-torn country of Yemen. 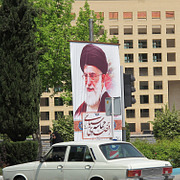 Operation World says the fastest growing church in the world is in the Islamic Republic of Iran. What is driving this incredible revival among Iranian people? Rev. Dr. Mehrdad Fatehi leads PARS Theological Center, training leaders for the Iranian church in Iran and around the world. He’ll help us look behind the scenes at the phenomenal growth of the church in Iran, and the pressure house churches—and especially church leaders—face right now from the Islamic government. Listen to hear how God intervened to bring an end to one believer’s police interrogation. How does a new Christian believer in Iran find other believers to connect and fellowship with? How are leaders trained when public, open theological education is impossible? Hear how PARS focuses on both increasing knowledge from education and study, as well as mentoring to help students practice the behaviors of leadership, face the challenges that come with ministry in a closed nation and continue their personal spiritual growth. Finally, Dr. Fatehi will help us pray more specifically for the needs of our brothers and sisters inside the Islamic Republic. When this year began, there was talk of war between North Korea and the United States. By June, we watched video of President Donald Trump and North Korean leader Kim Jong Un smiling and shaking hands. Big changes! What does it mean? How are those changes affecting our Christian brothers and sisters in the DPRK? Dr. Eric Foley, the President of VOM-Korea, joins us to offer answers to those questions, and helps us look at news coverage of North Korea not as Americans or Koreans, but as members of the Body of Christ. Dr. Foley will talk about changes on the Korean peninsula, and how those changes are affecting Christian work there—both north and south of the DMZ. He’ll share why this has been the most difficult year ever for VOM balloon launches into North Korea, and explain why North Korean defectors are such a significant part of reaching North Korea with the gospel message. Finally, Dr. Foley will give very specific advice on how we can be in prayer for North Korean Christians. 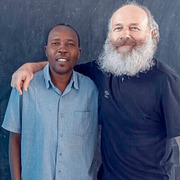 George Verwer is the founder of Operation Mobilization; OM has mobilized more than 200,000 people to spread the gospel to the furthest parts of the world. Listen as George shares how he thinks about risk, and his challenge to Christian believers to refocus from comfort and convenience to serving the Lord. George will share about OM workers he has known who’ve sacrificed everything for Christ, and also how he makes tough leadership decisions—including sending mission workers into dangerous places. Verwer challenges each of us to be involved in sharing the gospel message and to focus more on the things of Christ than on the daily news or our social media feed. He’ll also share about his early encounters with VOM’s founder, Richard Wurmbrand, and how George declined to use OM vehicles to smuggle Richard out of Romania. Listen to OM co-founder Dale Rhoton on VOM Radio here and here. Current OM-USA President, Andrew Scott, has also been a guest on VOM Radio. Purchase George's book, Messiology (affiliate link). Brad Phillips shares an update on the current situation for Christians in Sudan, including persecution of Nuba Christians along the border with South Sudan. You’ll be inspired by the story of Morris, who paid the fine demanded from the Muslim who attacked his daughter. Morris saw an opportunity for the gospel instead of taking an opportunity for revenge or anger. You’ll be challenged as you hear how the gospel is advancing in Sudan in spite of persecution and threats, and equipped to pray for our Sudanese family members as they boldly share the gospel. You can hear Phillips’ previous visit on VOM Radio here. 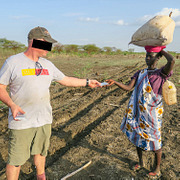 Hear VOM staff member Petr Jasek share about his 14 months in prison in Sudan here. In the midst of his persecution, Dmitry “David” Shestakov remembered Christ on the cross, and determined in his heart that if Christ suffered willingly, David also would persevere through his time of suffering. As a young man, David was a criminal and a drug user. His mother’s desperate prayer—even though she was an atheist—led to Shestakov surrendering his life to Christ. Once surrendered, he immediately began to tell others about Jesus. He knew, early on, that such witness would be costly. David will also help us pray for Christians currently in prison, and for their family members. Joe Handley leads Asian Access, a ministry to train and equip church leaders—including many working in countries where Christians face persecution for their faith. Listen as Joe shares the process used to train leaders, and the special challenges of raising up leaders prepared to endure and thrive in spite of persecution and hostility. Joe will also talk about how the principles taught translate across cultural boundaries from country to country, equipping leaders to boldly follow Christ and serve His people. Finally, Joe will equip us to pray for these leaders, as well as the ministry of Asian Access. Don’t forget: the International Day of Prayer for the Persecuted Church is coming up November 4. Get free resources from VOM to help your church pray. CHINA: Will I Pick Up My Cross? “Brother Joel” is back to discuss current persecution in China and how the church there is responding. Joel speaks especially to the current status of Bible distribution in China, and why Chinese Christians need a new Bible every 3-5 years. Joel will also tell how he and his wife personally think through and plan for the possibility they will receive “the gift of persecution,” and who inspired him to be involved in this sacrificial, dangerous ministry effort. 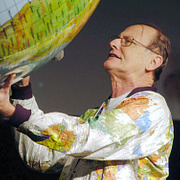 Finally Joel will help us pray for the church in China, and for VOM’s work in that nation. Listen here for a recent update on increasing persecution in China, and here for Brother Joel’s first-ever interview with VOM Radio. 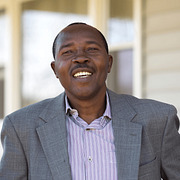 Pastor Hassan Abduraheem Taour helped train Sudanese pastors to be ready for persecution. He didn’t know that he was also preparing himself for the day he’d be arrested in Sudan, charged with aiding espionage alongside VOM’s Africa regional director, Petr Jasek, and sentenced to 12 years in prison. Pastor Kumar is a part of the All India Christian Council, helping Christians all over India who face persecution and pressure for living out their faith in Christ. Listen as Kumar talks about how persecution in India is increasing, to the point that every day a Christians is facing persecution somewhere in India. 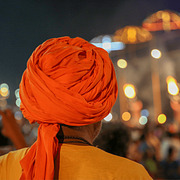 What challenges will a Hindu who chooses to follow Jesus likely face? Kumar will also share about so-called “anti-conversion” laws in India, and how they affect evangelism. He will share his own experience facing persecution and even death threats as he shared the gospel—and how he felt God’s hand in those moments. Finally, Kumar will equip all of us to pray for our brothers and sisters in India. Pastor John Cao has trained literally thousands of Chinese church leaders, including many who have taken the gospel to other parts of China and even across the border into other nations. 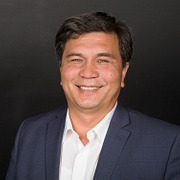 In recent years Cao’s ministry has expanded to Myanmar, where he set up schools to minister to poor children from minority tribal groups. But his bold ministry in and out of China has not gone unnoticed by Chinese authorities. Today Pastor John sits in a Chinese prison, sentenced to serve seven years on the charge of “illegal border crossing.” Yet even in prison, he has found reasons to rejoice! 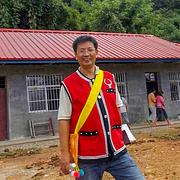 Dr. Bob Fu, the founder and president of China Aid Association, will share the story of his friend, Pastor John Cao, as well as update us on the state of the church in China and specific ways that we can pray this week for that nation and our brothers and sisters there. Sign the petition on The White House web site, asking President Trump to intervene on behalf of Pastor John Cao. 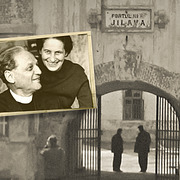 This weekend marks the launch of a new video-based curriculum to allow your family, Bible study group or Sunday School class to take an up-close look at the lives and faith of Richard and Sabina Wurmbrand. Our guests are Cole Richards, President of The Voice of the Martyrs and one of the on-screen speakers in the video series, and John Grooters, the director of the video segments as well as of Tortured For Christ – The Movie. Listen as they describe the lessons from Richard and Sabina’s lives that most impacted them, and what they hope American Christians will draw out of this six-week study. We’ll also share how you can get a free DVD and digital download of Tortured For Christ – The Movie when you buy the curriculum video DVD and included group leader’s guide. Watch the trailer and purchase WURMBRAND six-week video curriculum. Listen to John Grooters share about the making of Tortured For Christ – The Movie in a previous episode of VOM Radio. Over the weekend of June 23-24, hundreds of Christians were killed and thousands displaced in attacks by jihadis from among the Fulani people in the Middle Belt of Nigeria. Listen as Brother Sean, VOM’s Africa regional director, shares an update from Christians recovering from those attacks and reports how VOM is directly helping more than 5,000 affected Christians. Sean will provide some context for the ongoing violence in Nigeria, where more than 6,000 people—mostly Christians—have been killed in violent attacks this year. 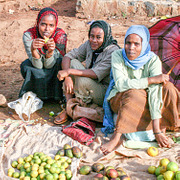 Sean will also report good news: God is at work among the Fulani people! Just in Nigeria, more than 35,000 Fulanis have left Islam behind to follow Jesus Christ. You’ll gain perspective and understanding to help you pray effectively for our Christian family in Nigeria this week on VOM Radio. 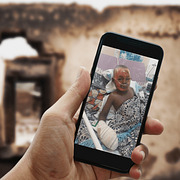 You can give online to provide help for injured and displaced Christians in Nigeria. You can also write a note of encouragement that VOM Will deliver to a Nigerian Christian.